American Express announced that they will be releasing a new Delta Airlines co-branded card. It has no annual fee and earns Delta Skymiles. This announcement comes one day after Chase released their new TravelBank United Airlines card. The details of the new Blue Delta Skymiles card are as follows. Welcome bonus offer not available to applicants who have or have had this product or the Delta SkyMiles® Options Credit Card. Welcome bonus offer not available to applicants who currently have or have had one of the following products in the last 90 days: Delta SkyMiles Credit Card, Gold Delta SkyMiles Credit Card, Platinum Delta SkyMiles Credit Card, or Delta Reserve® Credit Card. 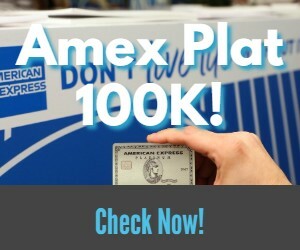 PSA – Remember to be careful when working on sign up bonus spend for American Express cards. 2 miles per dollar spent at U.S. restaurants. 2 miles per dollar spent on purchases made directly with Delta. Get a Taste of Travel with #DeltaAmexBlue Contest. Details for the contest can be found here. In my estimation Delta Skymiles are valued in the 1.25-1.5 cent range. 10,000 miles would be worth anywhere from $125-150 on average. It is nice to see Chase and American Express both releasing no annual fee co-branded airline credit cards in the last few days. The Blue Delta Skymiles card is far superior to the Chase United TravelBank card in my opinion. While the 10,000 mile sign up bonus is nothing special, being able to earn 2X Skymiles at US restaurants is a nice perk for a no annual fee card. It is an earning rate that American Express’ other, much more expensive, co-branded Delta cards do not offer. Given American Express’ once per life time language, it is nice to see the addition of a new credit card with a sign up bonus. Having said that, this card would be towards the bottom of my application plans. However, the Blue Delta Skymiles card can be beneficial to those who are running out of options with Amex, because of their anti-churning rules. Where the Blue Delta Skymiles card shines will be the option to downgrade your American Express Gold or Platinum Delta cards to a no fee card (this will negate your chance at a future sign up bonus for the Blue card though). Doing this would keep your account open, which helps your average age of accounts, and you would still be able to access Amex Offers without having to pay an annual fee. What do you think of the new Blue Delta Skymiles card? Will you be signing up or using it as a downgrade option in the future? I agree. This not a card I would apply for. But it is a great downgrade opportunity for those who have the Reserve, Platinum and Gold and no longer want to pay an annual fee. For sure…I hope they increase the offer to 20 or 25k at some point down the road. I would take advantage of it then! Just tried to downgrade my wife’s Delta Gold Card, AMEX stated that this will not be an option for this new card. Any one had success with downgrading? Wow that is surprising. I would give it a week or so an try again since it is a new card it may be customer rep error. I don’t see why they wouldn’t be ok with downgrades vs a cancellation. Received notice that my Delta SkyMiles Options Card was automatically converted to the Blue Delta SkyMiles Credit Card. No bonus for me! People have fought them in the past and won with things like this – but probably not worth the hassle for 10k skymiles. Side Hustle:Scan Items for ShopKick on If You Aren’t Using Shopkick You Should Be!